Last week, an article I wrote for the Blog Herald, Blogging Outside of Your Community By Not Blogging in Your Native Tongue, caught the attention of more than just the readers. It caught the attention of the staff of the Blog Herald by attracting a very unusual trackback from a new kind of copyright violating splogger. Editor Tony Hung reported on the new type of splogger to warn bloggers, even before we had all the information about how they are working. 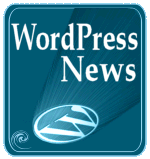 It clearly appears that they are attacking WordPress blogs, often using WordPress Plugins that specialize in feed scraping and other evil doings. Master Copyright Expert, Jonathan Bailey of Plagiarism Today, an adviser and contributor to the Blog Herald, investigated this and wrote in Protecting Your Content From the Spinning Spammers about this new trend in site scraping. Jonathan calls them “Spinning Spammers”, and they are using Plugins and utilities for synonymized scraping of your blog. The process scrapes your blog feed and then “translates” your content using synonyms to replace recognizable words. Here is an example comparison of my article, followed by their “translation”. Yesterday, I wrote an analogy of comparing blogging to dancing, and how it helps to know the steps, but I also addressed the issue of blogging in your native language compared to blogging in English. Words carry a responsibility. They convey meaning. They reek with intent. Change a word and you change the meaning. Yesterday, I wrote an faith of scrutiny blogging to dancing, and how it helps to undergo the steps, but I also addressed the supply of blogging in your autochthonous module compared to blogging in English. Words circularize a responsibility. They intercommunicate meaning. They exudate with intent. Change a word and you modify the meaning. Grabbing content through your blog’s feed and inserting or replacing synonyms in the content, typically keywords the splogger needs to get the page ranking and search terms to attract attention, has been around for a long time. However, this form of conversion is dramatically different. The words don’t translate into recognizable search terms. The problem with this technique is that it is also harder for the blogger to identify this as a copyright violation in the trackback. The first sentence of the “translated” version appeared in the trackback on the Blog Herald. If it wasn’t for the use of the word “autochthonous”, I would have thought it was a nice article about my blog post, but I couldn’t figure out what the heck the word meant. So I checked out the trackback link and found my blog post regurgitated into a strange version. However, the broken English belies the full extent of the problem. Spammers create these works by taking posts from legitimate bloggers and then running it through an algorithm. This can involve using a thesaurus to find synonyms for the words in questions or an automatic translation program to convert the work into another language, possibly then converting it back to English. This process of modifying the content before reposting it is often called “spinning”. Spinning a work before republication has several advantages, the largest of which is that Google is less likely to detect the work as a duplicate and, thus rank it higher. However, almost equally important is that it is much harder for victims of plagiarism to detect and follow up on the misuse, making this kind of abuse much harder to stop. The good news in all of this is that, since so little of the content remains the same, the odds of the search engines penalizing the victim are much more slim than with traditional spamming. However, this isn’t saying that these modified scrapers aren’t targeting similar keywords to your site, which they often intentionally leave intact when spinning a work, and might usurp the original work through a combination of scraping and spam linking. So the technique outwits search engine algorithms, since the intent of the content remains even though the words are changed, and the words aren’t typical spam words, so the splogger thinks they can win in the battle for page ranking and content theft. It’s the latter that really ticks me off. Copyright law protects derivative work, unless the work is changed enough from the original as to not resemble the original. I’m sure you can see the loop holes in that statement. What defines “changed enough”? According to my research, and Jonathan’s expertise, this example is still a valid copyright infringement. By simply changing a few words, the intent, message, and literally enough of my words have not changed, so it’s still my content, therefore, protected under my copyright policy. Fortunately, the law is very clear on this subject. Copyright is not merely the right to copy one’s own work, but a set of rights that includes the right to create derivative works…This right to create derivative works covers the right to create translations and any other work based on copyrightable portions of the original. Spinning, since it starts with a copyright-protected work and creates a new work based upon it, violates that right. Fair use arguments fall equally flat in the eyes of the law. Spinning is not transformative as it is designed to replace the original, it offers no commentary or criticism, it is for commercial use, it can greatly harm the market for the original work and usually is unattributed. There is almost no fair use argument left for the spammers who modify the posts they scrape, leaving the door wide open for rightsholders to take action. Now, I can go after the copyright violating splogger. More importantly, we need to call attention to this issue to warn every blogger, and potential splogger, that we’re onto this system. We need to be more diligent when reviewing trackbacks to our blog. We need to bring it to the attention of search engines so they can also tackle this new monster on the web that is getting away with stealing our hard work and changing a few words and making it their own, covered with advertising. 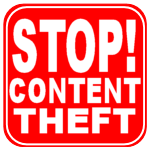 Jonathan Bailey’s article offers some tips and techniques for handling and fighting against these spinning spammers, and my article, What Do You Do When Someone Steals Your Content, contains the steps to take to stop copyright violators. 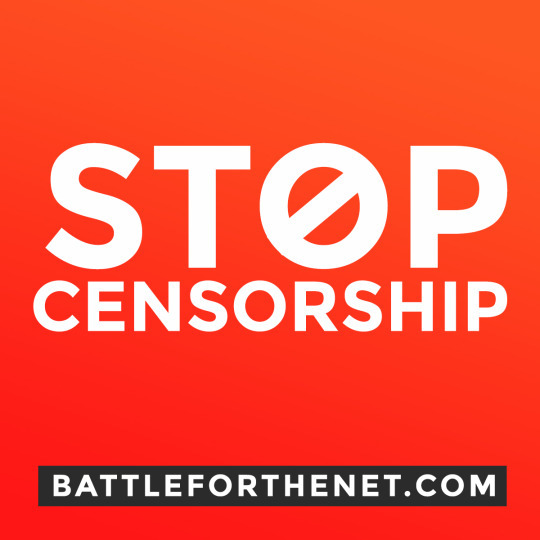 Help us spread the word and put an end to any support, encouragement, and permission to use such underhanded techniques to abuse our content. 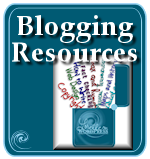 It is not a complement, nor a blessing, to have any splogger or copyright violator link to your blog. Google’s new PageRank now penalizes blogs for having such links, so don’t risk it. Report sploggers and help put them out of business. 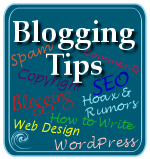 This entry was written by Lorelle VanFossen and posted on November 15, 2007 at 12:04 am and filed under blogging tips, WordPress, WordPress News, Writing with tags wordpress, WordPress News. Bookmark the permalink. Follow any comments here with the RSS feed for this post. Post a comment or leave a trackback: Trackback URL. Without being rude, I wish you luck. Consider the larger problems of copyright violation, from music to movies, software to systems. Your blog is, on the scale of things, a spec of dust on the horizon. Good luck with it, but I would recommend spending your time on making your own stuff better and stop worrying about what you cannot really fix. I also hate to be so fatalistic, but I feel I’m armed with a bucket against a rising tide. I try not to think too much about it. I have nothing financial riding on my blog, though. If it’s your bread and butter, then you should be concerned. Just a thought Lorelle: the thieves so thoroughly mangled your original sentence, it is now incomprehensible. What is the value in a scraper posting that? Anyone with even the faintest grasp of English would see it as nonsense. All others wouldn’t even be reading it. Maybe they see a full RSS feed as an invitation to take the content? I tend to use the more tag to only provide snippets of articles in feeds. Maybe they can argue that they are using their blog as a preferred way of reading other blog feeds? I am opposed to the republishing of feeds as web content though unless the author gives permission. I am sorry to hear. It happened to my blog, too. 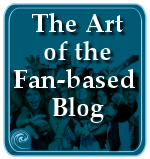 I don’t think that my blog is big of a deal for sploggers to be attractive, yet, it is concerning to know that sploggers make use of full rss-feeds… I will follow your blog to see if someone comes up with a good idea. 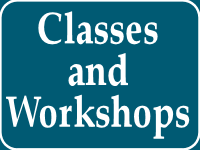 I am not that much into programming, so I have no clue how to do it. The internet is anonymous, so how the heck are we supposed to know how to tell good visitors from bad ones? I’ve had people repost my content on fake blogs (splogs?) that really were advertising stuff or where link dumps. It’s incredibly frustrating, because how do you address something like that when there’s no contact information? No one to complain to? I don’t make money from my online writing, but it’s still MINE, and it bugs me no end when other people appropriate it… whether to make money off of it or not. Thats a simple problem because many spammers just use plugins for these kind of things and you can email them no to continue this. This is a huge problem and as a fellow webdesigner/master I have a full support to fight against these scammers/spammers or whatever you’d like to call those people stealing other’s content. The problem is that nowadays any geek from the street can find some plug ins to their site and pull the content straight from the web. I in agreement with Andy (#3), I think sometimes the biggest problem is when we (bloggers) push the full content of our article via RSS feeds. Forget blatent spammers for a moment, well-intentioned site owners may not be aware that you provide the full contents of your post via RSS and unintentionally publish the full articla via automatic news aggregators. A few months ago, I started to use more teasers for my posts in the RSS feeds. Content theft appears to have gone down. Though this wouldn’t fully fix the issue with spinning spammers it’s a start. It’s an original way to steal content. I know this sounds so simplistic, but perhaps we can keep on Google’s case to yet again change their methodology to so that these nonsensical copyright infringers are penalized re page ranking? I wish there were a way we could report these criminals to Google. It seems unreal that someone like Lorelle can’t report this to Google. I know it’s asking a lot from Google, but they are penalizing the honest, hard-working folks while these sploggers, scrapers and spinners get higher ranking. There’s something very wrong with this. I’m writing this not just as a blogger, but as a very long time Google user. I was a computer trainer in the ’90’s and constantly refer people to Google. People are always amazed I can find so much info about so much at my fingertips. It would seem to me that it would behoove Google to work as hard, perhaps harder, than us, to penalize people who can’t even write properly. It’s not that hard to figure out real bloggers from thieves who don’t have real contact info (try to find it or if you do, it will bounce back), real specific themes (most thieves grab whatever they can, putting posts amongst very different content, unlike what a typical “real” blogger would cover, maybe a few topics, but not every post so radically different). Just call me naive, but it seems so weird. It’s as if the police came into a neighborhood and started shooting, and too bad if some innocent people were wounded. I am NOT naive about copyright infringement. If I had a few dollars for every time my punk rock photos were used, I’d be sitting on a nice stack of cash. I’ve been ripped off for 31 years. I finally decided I could only focus on getting my photos out into the world. I have to work as hard as the thieves. But because I have my negs and slides, and I reach out to peeps, esp having a web presence, I make some money. Sure others make money off of my work, but what can I do? Copyright laws are so hard to enforce and with minimal financial remedies. often costs more to win a case, even just for a lawyer to write a letter, than to let it go! But I never had to deal with something called PageRank. My thieves put out bootlegged records, then CDs, some posters, some t-shirts. But never big time. But it’s very hard to deal with these kinds of online people. I wonder if Google is thinking long term about searches, that these bogus sites turn off people? Or are they looking at the ads on these sites, and grabbing the money? Basically, how to convince Google and other search engines that working with legit bloggers is better for them in the long run, the big picture? Call me a dreamer. I just hate seeing good peeps like Lorelle and fellow bloggers having to battle these demons virtually alone. Google has the power in this case. Yet as I keep writing, Google depends upon peeps like Lorelle for their success. Hmm, biting the hands that feed them. One comfort is that the diction sploggers use is obscure, so it’s harder to read and people are less likely to use the thesaurus-ed words to search. @Jenny: It’s not that hard to figure out real bloggers from thieves who don’t have real contact info (try to find it or if you do, it will bounce back), real specific themes (most thieves grab whatever they can, putting posts amongst very different content, unlike what a typical “real” blogger would cover, maybe a few topics, but not every post so radically different). Maybe not so easy. I know at least one blogger whose goal is to be eclectic, and I myself can jump around from topic to topic. Not sure that there’d be a real good algorithm to determine it. As some of the other folks mentioned above, your best strategy is probably just to ignore it and spend the time you’re wasting on worrying about this issue on blogging or whatever else you want to do. The problem here is that this is completely asymmetric. Sure, Google could tweak something in its algorithm to hopefully penalize this behavior without penalizing your blog. And the next day, the spammers simply updated their algorithms. First, good luck with going after the sploggers. Doing so is a service to all of us and, no matter the outcome, I appreciate your efforts. Secondly, as I read your post, the first thought that came into my head was “I wonder how hard it would be to develop a plugin that poisons the well for sploggers?” Surely, someone who’s a much better PHP programmer than I can come up with a way to detect this and simply skew the feed to the splogger/spinner so that the content becomes useless. In any case, thanks for the post bringing it to our attention. My site gets scraped as well. Sometimes I can find my content on these splogs but it has become more difficult and now I might know why (keywords are changed and I don’t find them via google). However what I never get are trackbacks, I find my content with no reference at all to my URL. I have no ads or other money generation but the thieves do and is why they steal. However I don’t think they are stealing content so that people actually read the content and might explain why they don’t worry about mangling the content. They only want the google hits and whatever they get from the ads surrounding the content. I also get hits that fake a trackback hoping I’ll check out their page but of course it is just the same pages as linked to in comment spam. And comment spam, wow it increased by a huge amount lately. This is nasty stuff and I don’t try to compare my humble abode to the big sites or big problems. But it is my content and my house and that is huge to me. I’ve recently discovered this type of activity on my blogs also. I am eagerly awaiting some sore of plugin development from the WordPress side of things. Thanks for posting this and making the community more aware of this developing problem. You’re missing the true purpose of most splogs is simply to generate massive amounts of content in order to gets thousands, if not millions of pages indexed in the search engines, thereby generating an equal quantity of backlinks to whichever site(s) the splogger wishes to promote in the SERPs (search engine ranking pages). The splog is merely a means to an end. If it makes a few bucks along the way, so much the better but that isn’t generally what it is for. When Google stops using backlinks to calculate a site’s placement in the index is when splogs will cease to become useful as a quick means of generating ‘content’. I recently have been seeing my rss feed on some of my articles show up on splogs with a intro like “environmental leaders posts ….” I did get a trackback and checked out the IP address through the plug-in ex-slimstats through arin whois. I contacted the abuse department of the host of the website. I have not heard back yet but am going to call them. Is there a way to ban certain sites from tracking back? 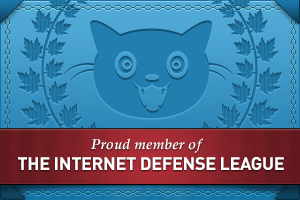 To ban certain sites from leaving a trackback on your blog? Or from stealing your blog content? First, report it via Google’s Spam Reporting Service, advise the blog administrator/owner/host that this is a copyright violation, and use the other spam/splog reporting services. Second, you can block scrapers with various IP blocking tools, such as mentioned in Jonathan’s article. That will stop them from taking your content if you get their IP address, often listed in the trackback link information. Third, if they are using your blog content within “acceptable” Fair Use, whatever your copyright policy is that defines Fair Use on your blog, then you can mark the trackback as spam, which will put it in the database to catch it for your blog, and hopefully for others, as we all mark splog spam as spam. Their links will not longer be published on our blogs. Good for you and others who report these and take action to stop them. Applause!!! It is absolutely amazing what an Internet outage does to your schedule. I wanted to reply to everyone but it seems I’ve fallen hopelessly behind. Instead, I want to extend a blanket offer, if anyone needs help with a scraper or a particular case, send me an email at jonathan at plagiarismtoday dot com and I will see what I can do to help. For those who are feeling fatalistic about it, I understand. One thing that most people forget though is that we don’t have to stop all of the spammers, just enough to make it less appealing of a business model. If 10% of spammers were put before the Adsense firing squad, then the other 90% would think twice. That’s the literal definition of decimation. Lorelle-I want to block them from tracking back. They are stealing the first couple of sentences from my post. I have blocked them as spam before and they came back again for another bite. I can’t say that they like what I write (yeah I wish). Is there a plug-in that you can blacklist them from your blog? Thanks again for all of your help. You must have psychic ability because I have been wondering what was going on just the other day. Here is the deal. 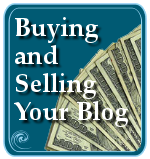 You cannot STOP sploggers or spammers from your blog. You don’t want to. How else could you know when you’re blog is being ripped off? Make your copyright policy CLEARLY define what you consider a copyright infringement and violation, then handle them as I’ve described. You can also use many WordPress Plugins that deal with copyright theft and spam, like AntiLeech Splog Stopper, and you can also use WordPress built-in features to create a blacklist for comments and trackbacks, or use the .htaccess to bann spammers and scrapers manually. Unless we stop spammers and scrapers financially, on a global level, we can’t stop them, but we can stop them from getting their evil published on our blogs by being vigilant and using the best technology we can, of which Akismet does a pretty darn good job, too. I haven’t had this problem with my blog yet (except two or three within the few months back), but I can definitely see the splog wildfire spreading rapidly. Thanks for the link to anti-splog plugins too. This can and should get them in alot of trouble because of plagiarism, but if the post was was not changed, then what would be the difference between them and sites like technorati or even Google that scraps content on the web, then puts there own ads on the sides of it? Lorelle, it seems that most people feel that there is very little that can be done about this. I think most bloggers have been through this before and are apathetic towards this issue. I hope you can stir them up! Anyway, I’ve just discovered that my blog is being scraped (first time for me) and I’m going to make a couple of changes to try to discourage them – although it may be futile if the sploggers are determined. I’m planning to use my DualFeeds plugin (which creates both a summary and a full post feed) to switch the feeds, ie: the normal site feed will be the summary feed and the secondary feed will be the full post feed (via a different URL). I’m hoping that the sploggers will only get the summary feed, although of course, they can always find the URL for the full text feed from my site. It may not work, but I figure it’s worth a try. The main problem with this approach is that my subscribers will have to resubscribe to get the full post feed. I’m also going to look at adding my site name and a link to the full article (and perhaps a brief copyright statement) at the TOP of the full post feed entries. I know there are plugins which add it at the bottom, but I think it would be better at the top. I’m looking at a couple of plugins which do the job. If they don’t, then I’ll write one. Once again, it won’t stop them, but may help to discourage the sploggers a little. And of course I’ll look to adopt your suggestions above. I think we all need to do what we can, even if it seems futile. I posted an excerpt from my book this morning and within a half an hour, I had six pingbacks from blogs that had copied parts of post and were trying to link. They were all ‘travel’ blogs with ads and are stealing hundreds of posts every day. I contacted AdSense and reported them, but what is really annoying is that many are powered by WordPress, but you can’t report them because other servers host them. Actually. you can do plenty. Report their copyright violation to their servers. This has little to do with WordPress directly, other than its popularity. Blogger’s Blogspot features more spammers and sploggers than any other online service, so this isn’t exclusive. The DMCA requires web hosts as well as search engines to help copyright holders shut down copyright violators. This is explained with sample letters and forms in What Do You Do When Someone Steals Your Content. One of the newest annoying features of their world is their use of WordPress MU. I have a google alert for my name so that I can see how long it takes different kinds of content to get traction in google. It has become a daily event to find a spam MU-based blog that has taken content from one of my articles at ezinearticles.com, not followed the rules of publication (ie: make the links hot) and splattered a bunch of drug or other spammy links at the bottom. Worse yet, Google-owned blog services are starting to catch up. They get linked fast and filing a DMCA complaint on paper (“do no evil”?? ), is the only way to deal with Google on this issue. IE: Its too much hassle to even bother with. Thank you for posting this. I have seen a huge increase with my WordPress DUI blog. I did not realize there was much I could do to prevent this. I’m not even sure why sploggers would want to target my blog.. as if it’s a HUGE website anyway. But there are sploggers out there, copying my content. Grr. Another option is to report them to Google AdSense. Not all of them make use of AdSense but many do. I have shut down a few blogs whose only purpose was to steal content from others then plaster their own blogs with ads. They should be sued, shut down, hunted. One by one. Both of the sides have cause to be angry… both want to be the owner of ephemeral one second during moment of enlightment frozen on the web. You think all you are so original and unique, yes you are, but… if the first inventor of a wheel could put a licence on his invention, we all would look very poor. I am for progress of the thoughts in frozen content, you can look at it as at the evolution of mindfull creatures, who just pass through your brain, and afterwards are leading their own uniqe life. You are jelous that somebody said the same better than you, because it was your content? Or said it weird, used an algorithm, but this is life, it can’t be controlled. Just stop to be NOT generous, if you such a genious it dont touch your life, your thoughts, copies will always be worser, and if not, if they are better, then, they are original better, sombody did more work as you on it, and elaborated it, where you were lazy. We all are standing on the shoulders of the giants. Do you think your thoughts are througly without connection to the past, your environment. All this is our world – all them who are copying without thinking a second… just stop … its stupid, and exept of the money maybe you get for it, you will get to nowhere, you learn nothing… you are a zero, regardless what your ranking machine is saying. I wish everyone luck too. I have a self hosted WordPress blog, and daily now several of those splog trackbacks. Haven’t checked for the type you are speaking of. I will be on the look-out though. Isn’t it enough many of us who do not do this for a living take time to blog, now we have to spend every free second preserving our content, usually with no lick. Hmmm. You should check out the trademark and patent laws. Exact copies of a product or invention is not legal. Ripping off blog posts word for word is not improving my original thought. I do not think anyone here was irritated that the splogger blogged about the same topic or engaged in debate about a posted opinion. Stealing content word for word is something entirely different. My blog’s been hit by sploggers. I figure there’s not much I can do about it except to try and block as much comment spam as I can from reaching my eyes. I haven’t seen a check yet from Google for my Adsense ads, so I wonder how much these sploggers are actually making. Millions. Don’t think of a single splogger as a single blogger. Sploggers set up hundreds, and possibly thousands, of blogs. It’s free, cheap to host, so their overhead is microscopic and the money just roles in. And don’t figure, do. We have to stop this and it starts with you. I posted earlier but wanted to feedback on something I’ve tried this week which seems to have cut down to a considerable degree the number of splogs nicking my content. I have a self-hosted WordPress blog and I took the drastic step of removing all the ping services from where they are listed in the admin tool under Options/Writing/Update Services. At least one of those services must have been used by the sploggers. Now I don’t notify those services, the splogs aren’t getting to know I’ve posted anything new. I now manually ping just Feedburner every time I post a new entry, and that’s it. No other services. And a cut by I’d say ninety per cent or more in content theft as a consequence. Now, you might think I won’t get new readers but I am sure my site is still indexed by the search engines, and looking at my own behaviour online I either find blogs by searching for them, or via other bloggers’ blogrolls. I don’t use directories, just search engines. I’ve seen some amazing things people have done to stop scrapers, and here’s another. Other than grasping at straws, do you have any technical evidence that backs up this attempt? Pings have nothing to do with scrapers and splogs. Spinning in sand, my friend. Stick to what really works and leave your pings alone. You aren’t notifying spammers and scrapers, you are notifying legit services and inviting them to index your blog in their search engines. I noticed this happening on one particular post of mine. I’ve reported the offending site to Google, as they were, of course, running Adsense. Try as we may…..we will never stop spammers. The problem is not being aware of their methods and counteracting them….the problem is that blogging software is open source and therefore exposed to a much higher level of risk! The fact that many countries make no effort to stop malicious users working on their networks means that this problem here to stay. It’s a constant battle to be fought with spammers….no website is safe!!!! I was under the impression that spammers have been using content spinners for ages. I don’t think this is a “new threat”. @Andy, Lorelle : disabling pinging can actually help. Sploggers find content to steal by using various blog/RSS aggregators and directories – sites that know about your posts because you ping them. E.g. weblogs.com, Technorati and so on. If you don’t ping, the chance that your content will be stolen decreases significantly. That is unless the splogger decides to syndicate all of your feed. Even then, they’d still need to find it – using the same aggregator sites mentioned above. I’ve read a few blackhat guides for setting up splog farms. Haven’t actually implemented them though. Anyone monitoring pings will get an update, sure, but the pinging process, when done through WordPress’s official ping service, like Ping-o-matic, sends the ping to legitimate services. If the splogger has a way of monitoring pings to and through those services, then they would get the alert. I’m still looking for evidence that supports the theory that restricting pings will slow down content theft. Once they have your blog in their auto-scraper, it checks in for new content at a rate set up in the program, not by pings. That’s my experience and understanding of how these work. hohoho.. indonesian blogger made a banner for this issue. For what it’s worth, I’ve written a WordPress plugin called FeedEntryHeader which allows you to add a copyright statement and the post URL to the TOP of each feed entry. The idea is that readers will see the copyright statement BEFORE they read the article, work out what’s going on and use the URL to visit your site to read the original post. There are other plugins that do something similar in the footer. That’s too late. There’s less chance the reader will visit your site if they’ve already read the post. Also, some splogs chop the bottom of the post off. The copyright message can be fully customised. By default it includes a link, but it also uses the URL as the anchor text, because many splogs remove all links. Anyway, it’s only a small step, but every little bit helps. I started my own website just a few weeks ago, and have already dealt with this. The only advice I can give to people is to see if your name is left intact in the signature, for if you cannot follow through with copyright infringement for some reason, there is also a case to be made for slander if your signature now misrepresents you. I had to contact not only the ISP, but I also contacted the email provider when there was no reply from the emails that I sent them to settle this dispute. I wish everyone else the best of luck with this situation. My dispute is pending, and as it fets resolved I will tell on all involved, good or bad. Thank you. Most people who generate original content are unfortunately going to have to deal with this. I don’t know much about how this WordPress spinning plug-in works, although it’s worth looking into more. I have always relied on deep linking within my content to help direct readers back to my site if they find my content elsewhere, but perhaps there are more automated scraping tools that strip deep links out than I realized. For a new blogger this is a great article. Especially since we lawyers like to protect our written work. Thanks. please tell me how to get rid of such a problem. Solutions to the problem are found within the articles mentioned in this article. Ample timing for a bump on this content. While spinning isn’t in and of itself bad (especially when used for legitimate purposes – e.g. writing your own article and then making variations on the article for various sites), the problem comes in when people deliberately plagiarize your own content and take it as their own. However, I will re-iterate the first poster’s comment about it being a futile process – with so much automated software out there the things which separate our blogs from the splodge tends to be the reader community (much higher valued).